The previous Building Blocks column was titled Self-Manage or Bust! In it, I pointed out that any professional musician’s life is comprised of a series of small challenges. When those challenges are mastered, a musician can build on them to meet ever greater challenges that eventually add up to a career. 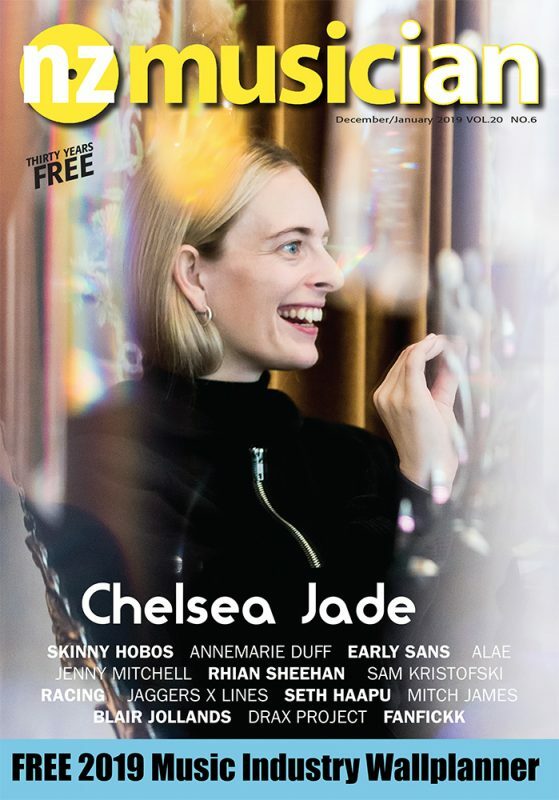 If you’ve followed this column over the years (they’re available online at NZMusician.co.nz), then you’ll hopefully remember at least some of the advice I’ve previously given on how to deal with a lot of those challenges individually. Now let’s talk about you – because if you read this column then you care about your own ability to take control of your career, and not have others decide it for you. And that means that you may have reached the point at which you might need to step forward – step forward to manage your band. Over the next few articles, I want to focus on that particular challenge: why and how you personally should manage your band? In this introduction let’s put ‘why and how’ aside at first, and talk about ‘whether’. Even if you decide that the time isn’t right, and may never be right for you to manage your current bandmates, I’d still invite you to read this series closely and make use of whatever advice that might still apply to your situation. One band member stepping ‘up to the plate’ is almost inevitable for most long term, serious bands. Of course, if it’s a situation where there’s a recognisable bandleader from the start, whose name may actually be part of the band’s name, then the band will automatically (and reasonably) expect that person to take care of the business of the band. But other than that, bands may have members that see to the management who aren’t always frontpersons. I’ve been in bands where it was the bassist or drummer that booked gigs, and not the lead singer or lead guitarist. In fact, it often worked better to have the stars work the crowd while the more down-to-earth players shared a drink with the manager while they talked scheduling. This doesn’t mean to say that band manager equals band leader, at all. Bands can continue to be artistic democracies. It’s important to understand that taking care of band business does not mean that you get to make all the creative decisions as well. I’ll expand on this in a further instalment, but for now, just remember that your position as manager includes advising the band on opportunities and business relationships, and not necessarily remaking the whole band in your image. The clearer you are with your bandmates about this, the more they will probably welcome your offer to manage them. It all comes down to being practical in the end. One band member is always going to be the most confident and the most organised, or have the most experience talking to venue managers. It will just be more convenient for everyone to have that one member collect the dosh and work out future dates at the end of the night – especially for the club’s booking agent, who wants to put one face on that band’s business, instead of four or five different people who can barely be bothered with taking turns looking after the details. It’s funny though, how a few musicians who are basically uninterested in the business end of things can suddenly become protective and even suspicious when one of their bandmates offers to look after things like bookings. Most likely your fellow musicians will be relieved that you’re willing to take on the responsibility, but you never know – and you shouldn’t automatically assume that all it takes is the willingness to do it. For all you know a bandmate may have had exactly the same idea as you, and be willing to fight over it. Or yet another may have been in a previous band where a fellow member managed that band right into the ground. So I suggest a gradual approach, both for your band members’ sakes and your own. Just do some of the tasks involved in management first, before making any official proposals. Find out if you like talking to venue people, sound and lighting techs, and bar staff. Talk over things with your band to see what they think needs improving, and offer to take care of one or two things to see what that feels like (using some of my past columns for pointers). If you think you’ve got the knack to do this, then congratulations! You’ve probably got the job that no one else wants. Let’s look over exactly what that job description entails in my next column, ‘Managing Your Band, Part 2: The Business End’. And look out for the full series appearing online at NZMusician.co.nz over 2019.